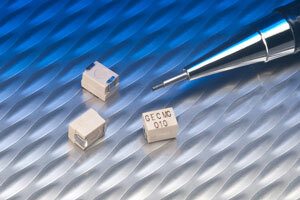 23 January 2018, Gowanda, NY (USA) – Gowanda Electronics, a designer and manufacturer of precision electronic components for radio frequency and power applications, announces the introduction of the industrys first off-the-shelf Shielded RF Surface Mount (SMT) Inductors with Established Reliability (ER) rating. 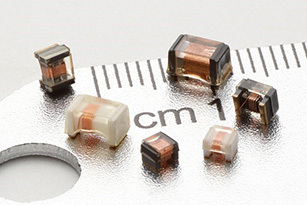 The first-ever shielded ER SMT series Gowanda ER5025S complements MIL-PRF-39010 Qualified Product List (QPL) axial-leaded (thru-hole) products and enables their conversion to SMT circuitry via this new MIL-PRF-39010 qualified SMT series. This series was developed by the company in response to a market need for shielded surface mount options to the traditional thru-hole designs. 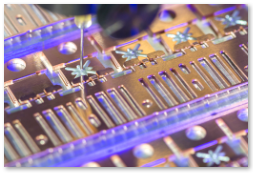 SMT components enable the use of more efficient assembly methods when compared to thru-hole methods. Gowanda was the first in the industry to offer an ER series in a surface mount configuration last year, Gowanda ER3013. 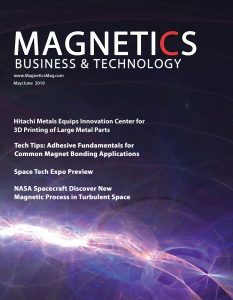 This introduction of a shielded ER surface mount series is a result of Gowandas commitment to develop inductor designs that address the evolving needs of the design engineering community, said Don McElheny, CEO of Gowanda Components Group. We will continue to introduce more ER SMT series in the future, he added. The ER5025S series meets the militarys QPL requirements for Established Reliability to failure rate level M and addresses two MIL-PRF-39010 slash numbers (/17 and /18). This qualification required extensive testing for electrical, environmental, mechanical and thermal performance. 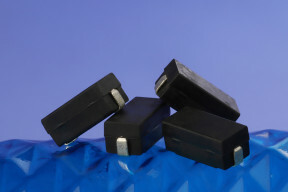 Level M represents the first level of failure rating for off-the-shelf inductors for high-reliability applications. In its ongoing commitment to the military market, Gowanda intends to achieve higher level failure ratings (Level P, then Level R) as ongoing testing continues to accumulate the hours necessary to attain those ratings on this shielded ER SMT series. Gowandas wirewound, molded, shielded ER5025S series is designed for RF applications in military, aerospace and space including defense and NASA communities for use in communication, guidance, security, radar, test & evaluation and special mission applications. This shielded series with 3% max coupling is used specifically in applications where the close proximity of circuit board components requires the inductor to be shielded to minimize interactions and ensure performance of the overall system. The performance range provided by the ER5025S series includes inductance from 0.10 to 10,000 H, Q min from 40 to 60, SRF MHz min from 1.0 to 450, DCR Ohms max from 0.025 to 139, and current rating mA DC from 30 to 2245. The MIL-PRF-39010 slash number determines specific performance, core type (phenolic, powdered iron or ferrite) and shielding type (iron sleeve or ferrite sleeve). Operating temperature range is -55C to +105C. See the ER5025S datasheet link for additional information. Gowanda has been designing and manufacturing RF and power inductors both thru-hole and SMT for the militarys Qualified Products List for many years. That experience combined with several successful ER thru-hole qualifications set the stage for the development of the industrys first ER SMT inductors last year, and now the industrys first shielded ER SMT inductors. Gowandas new Hi-Rel QPL Brochure provides a helpful overview.